↑ "Nobel Laureates Facts: 'Family Nobel Laureates'". Nobel Foundation. 2008. Retrieved 2008-09-04. ↑ Byers, Nina; Williams, Gary A. (2006). 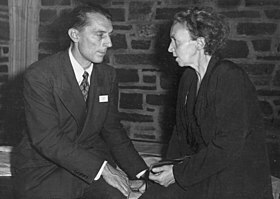 "Hélène Langevin-Joliot and Pierre Radvanyi". 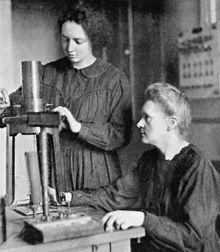 Out of the Shadows: Contributions of Twentieth-Century Women to Physics. Cambridge, UK: Cambridge University Press. ISBN 0-521-82197-5.